Among the local films released during the first half of the year, "My Ex and Whys" emerged as the highest earner with a total take of P400 million worldwide. The number was revealed on Friday, when ABS-CBN reported its net income from the first six months ending in June. The company said Star Cinema generated more than P1.2 billion in revenue, which included ticket sales from "My Ex and Whys" and "Can't Help Falling in Love." "My Ex and Whys" dominated February, while "Can't Help Falling in Love" managed to earn an impressive P320 million in April despite facing stiff competition from "The Fate of the Furious." Both are the only local movies to breach the P300-million mark this year so far. "My Ex and Whys" is Gil and Soberano's third film together as the leads. 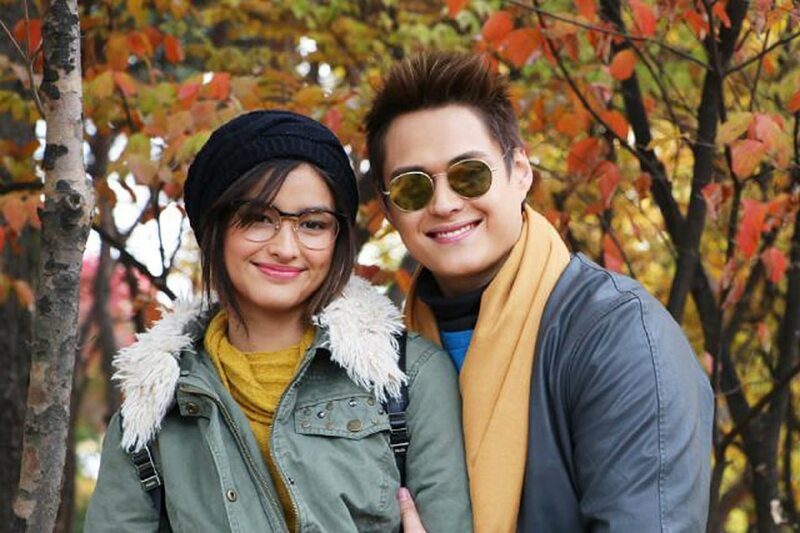 It's successful box-office run is a testament to their growing popularity since their breakout teleserye, "Forevermore." To compare, the love team's other films, "Just the Way You Are" and "Everyday I Love You," both barely passed the P100-million mark back in 2015. The last reported box-office gross of "My Ex and Whys" prior to the ABS-CBN income report was P341 million.